FuzeHub’s mission is to help small and mid-sized manufacturers in New York State grow through connections to technical and other resources. Over the past few years, the U.S. government has invested in a new wave of technical assets and expertise to stimulate manufacturing innovation—including significant new capabilities in New York State. This report summarizes this federal program, known as Manufacturing USA. 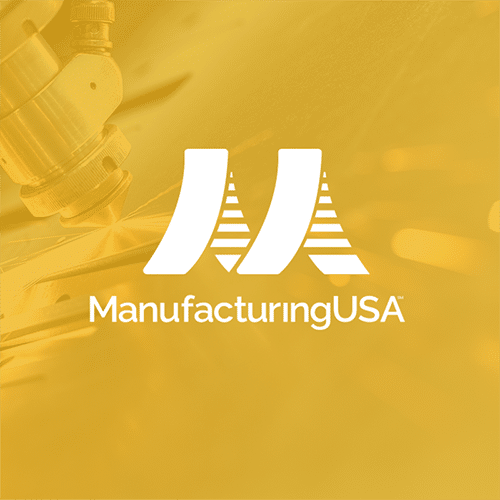 Manufacturing USA institutes focus on moving promising, early-stage research into proven capabilities ready for adoption by U.S. manufacturers. Their membership includes manufacturers as well as researchers from universities and government laboratories. The institutes provide members with access to state-of-the-art facilities and equipment, as well as workforce training and skills development customized to support new technology areas. Collaboration at the institutes and across the network creates an innovation community ushering in the next generation manufacturing supply chains located in America and employing Americans. New York-based institutions are playing leading roles in many of the institutes, and New York State has invested in several. Additionally, Empire State Development’s Division of Science, Technology & Innovation (NYSTAR), under a separate federal award, is embedding New York Manufacturing Extension Partnership personnel into multiple institutes to serve as liaisons between their facilities and small and mid-sized manufacturers. The national Manufacturing Extension Partnership (MEP)—a network of hundreds of organizations like FuzeHub and the other New York MEP centers—is playing a role in moving the institutes’ newly developed technologies into the small companies that comprise the bulk of the U.S. manufacturing base. • Becoming members of an institute. Membership in most institutes is tiered to be more affordable to small companies. Membership tiers provide different levels of access to institute facilities, expertise, and IP; as well as benefits like involvement in institute governance, technical roadmapping, and marketplaces or technical commons. • Partnering with other companies and universities to bid on R&D “project calls” issued by the institutes. • Receiving training and toolkits from your local Manufacturing Extension Partnership center when they have been made available. For example, toolkits to help companies adopt digital manufacturing technologies will be available soon. Manufacturers seeking more information or connection to the appropriate Institute should visit www.fuzehub.com for a no-cost consultation and referral. The following are summaries of each Manufacturing USA institute. AIM Photonics is an industry driven public-private partnership that focuses the nation’s premiere capabilities and expertise to capture critical global manufacturing leadership in a technology that is both essential to national security and positioned to provide a compelling return-on-investment to the U.S. economy. The Institute’s goal is to emulate the dramatic successes experienced by the electronics industry over the past 40 years and transition key lessons, processes, and approaches to the photonic integrated circuit (PIC) industry. AIM Photonics supports small and mid-sized enterprises, providing practical access and technology on-ramps for U.S. industry, government, and academic communities. They are creating a national PIC manufacturing infrastructure, widely accessible and inherently flexible to meet the challenges of the marketplace with practical, innovative solutions. DMDII is the nation’s flagship research institute for applying cutting-edge digital technologies to reduce the time and cost of manufacturing, strengthen the capabilities of the U.S. supply chain and reduce acquisition costs for the U.S. Department of Defense. DMDII develops and demonstrates digital manufacturing technologies, and deploys and commercializes these technologies across key manufacturing industries. The goal is to create product and manufacturing process definitions simultaneously. Design innovation is the ability to apply these technologies, tools and products to re-imagine the manufacturing process from end to end. This Institute is focused on developing a new era in flexible hybrid electronics (FHE) manufacturing by catalyzing the US flexible hybrid electronics ecosystem to commercialize technology through investments in FHE materials scale-up, thinned device processing, device/sensor integrated printing and packaging, system design tools, and reliability testing and modeling. The Smart Manufacturing Leadership Coalition (SMLC) will lead the new Smart Manufacturing Innovation Institute in partnership with the Department of Energy. This coalition of nearly 200 partners from across academia, industry, and non-profits—hailing from more than thirty states—will spur advances in smart sensors and digital process controls that can radically improve the efficiency of advanced manufacturing. LIFT is part of a national network of research institutions and industrial companies geared toward advancing America’s leadership in manufacturing technology. The center will speed development of new lightweight metal manufacturing processes from laboratories to factories for products using lightweight metal, including aluminum, magnesium, titanium and advanced high-strength steel alloys. Recent breakthroughs in fiber materials and manufacturing processes will soon allow us to design and produce fabrics that see, hear, sense, communicate, store and convert energy, regulate temperature, monitor health and change color—the dawn of a “fabric revolution”. AFFOA will accelerate widespread commercialization of highly functional fabrics. AFFOA is built on a simple premise: functional fabrics necessitate deep fiber innovation and predictive manufacturing. AFFOA has America’s leading IP cache in semiconductor fibers and assemblies. As global competition and resource scarcity increases, U.S. manufacturers will look for new solutions to help them reduce the cost of raw materials, energy, water and more by becoming more efficient and sustainable. The mission of the REMADE Institute is to not only pioneer these solutions to make U.S. manufacturing better by reducing net-energy costs and reducing costly manufacturing waste materials and emissions, but to also grow new clean-tech and clean energy businesses and jobs. This institute will focus on developing breakthrough technologies to boost domestic energy productivity and energy efficiency by 20 percent in five years through manufacturing processes in industries such oil and gas, pulp and paper and various domestic chemical manufacturers. Traditional chemical manufacturing relies on large-scale, energy-intensive processing. The new Institute will leverage approaches to modular chemical process intensification—for example combining multiple, complex processes such as mixing, reaction, and separation into single steps—with the goal of improving energy productivity and efficiency, cutting operating costs, and reducing waste. In the chemical industry alone, these technologies have the potential to save more than $9 billion in process costs annually. NIIMBL will help to advance U.S. leadership in the biopharmaceutical industry, foster economic development, improve medical treatments and ensure a qualified workforce by collaborating with educational institutions to develop new training programs matched to specific biopharma skill needs. Traditional pharmaceutical production relies on chemistry to create medical treatments. Biopharmaceutical production relies on biology—living cells produce the treatments or their components—which requires a complex manufacturing process. Biomanufacturing is used to produce many widely-used treatments for a growing number of health conditions such as cancer, autoimmune disorders and infectious diseases—and generates billions of dollars in revenue worldwide. However, innovation is needed to allow more rapid and flexible production to meet healthcare demands and ensure U.S. leadership in the industry. This institute, led by the Advanced Regenerative Manufacturing Institute (ARMI), Inc., will develop next-generation manufacturing techniques for repairing and replacing cells and tissues, which may one day lead to the ability to manufacture new skin for soldiers scarred from combat or develop organ-preserving technologies to benefit Americans waiting for an organ transplant. To foster and grow the national manufacturing ecosystem, the Advanced Robotics Manufacturing (ARM) Institute has formed a national, public-private partnership to develop, demonstrate, and facilitate early adoption of novel robotic solutions. Based in Pittsburgh, ARM is led by a newly established national nonprofit called American Robotics, which was founded by Carnegie Mellon University and includes a national network of 231 stakeholders from industry, academia, local governments and nonprofits. ARM’s 10-year goals include increasing worker productivity by 30 percent, creating 510,000 new manufacturing jobs in the U.S., ensuring that 30 percent of SMEs adopt robotics technology, and providing the ecosystem where major industrial robotics manufacturers will emerge. ARM focuses on critical growth sectors that are ripe for rapid adoption of robotics in manufacturing, including aerospace, automotive, electronics, and textiles.